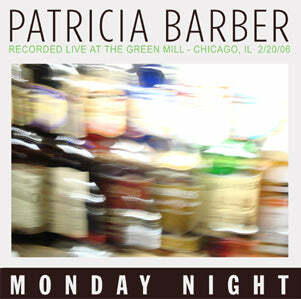 From her early days leading a jazz trio in small Chicago nightclubs, Patricia Barber has drawn extravagant accolades. The praise came at first from local writers, impressed by her unique arrangements and coolly composed piano improvisations. As she added vocals to her repertoire, the praise poured in from national reviewers intoxicated by her recordings. And when (after years of international touring) she began to focus on her own compositions, kudos arrived from new fans, besotted by her lapidary lyrics and her often indelible imagery. Since Barber doesn’t consider herself a poet – and since she didn’t want to be a jazz pianist in the first place – you’d have to say things turned out pretty well.